Text: Not yet identified. 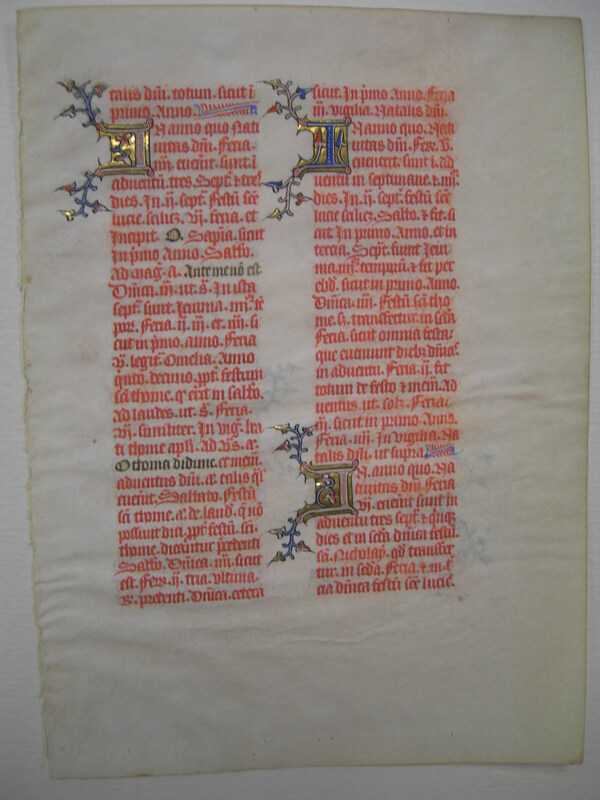 This leaf was probably one of the early ones in Ege's manuscript: the rubricated recto contains extensive directions for the conduct of services throughout the year. 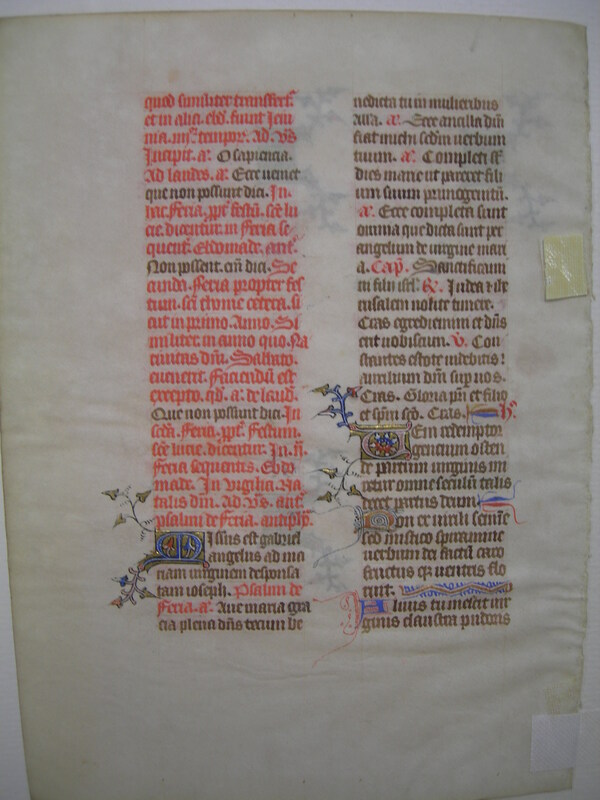 The verso contains some text from Luke 1.